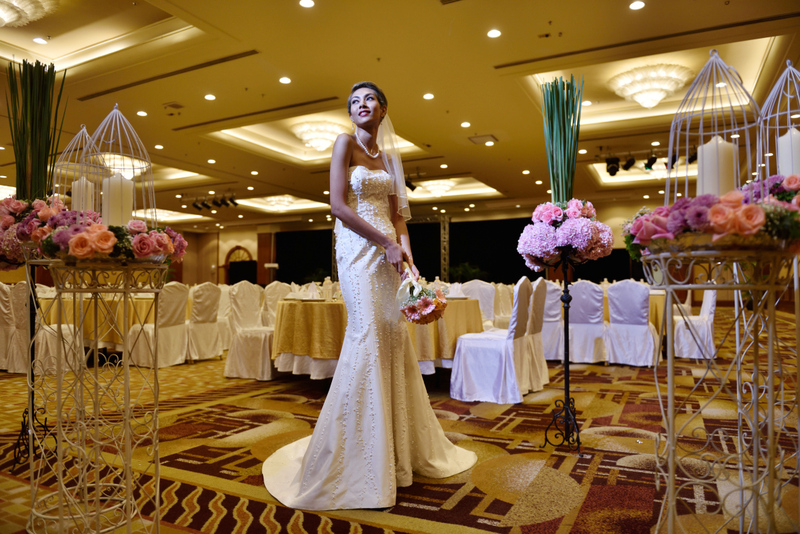 If you’re dreaming of that perfect wedding AND that perfect honeymoon, Sama-Sama Hotel KL International Airport has just what you’re looking for! 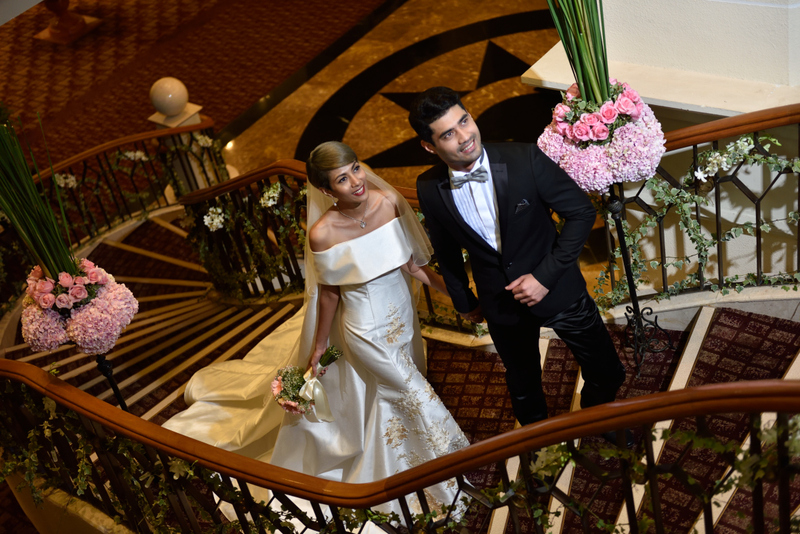 Through its latest wedding concept, ‘Wed & Fly’, couples who book a wedding at the five-star hotel can look forward to an all-expenses-paid air-ticket to breathtaking holiday destinations of Langkawi and Bali, Indonesia. Sama-Sama Hotel serves as the perfect venue, boasting all the facilities to guarantee a wedding experience like no other. Its Gateway Grand Ballroom accommodates up to 1,700 guests for a reception and 600 guests for a banquet dinner, complemented by state-of-the-art audio visual and lighting equipment, ample space and a huge foyer – along with over 10 function rooms. On top of that, the luxury hotel’s lush tropical indoor garden is a photographer’s dream! It features a waterfall that gushes into a man-made pond, setting a captivating backdrop that evokes romance and promises of forever-love into your wedding album. For those who prefer something ‘off the beaten track’, there’s the rooftop area at KL International Airport where you’ll get an exceptional backdrop of passing aeroplanes! Along with award-winning services, personalised touches and one of the world's most beautiful settings, the wedding packages at Sama-Sama Hotel also include specially-designed backdrops, table flower arrangements and pedestals, pre-dinner drinks and a five-tier wedding cake to add colour to the joyous occasion and a luxury airport transfer for the couple using its celebrated managed-service, Airport FastTrack@KLIA – and of course, a sumptuous meal to remember, from a plentiful international buffet to a Chinese-style multiple course set dinner. And there’s more! 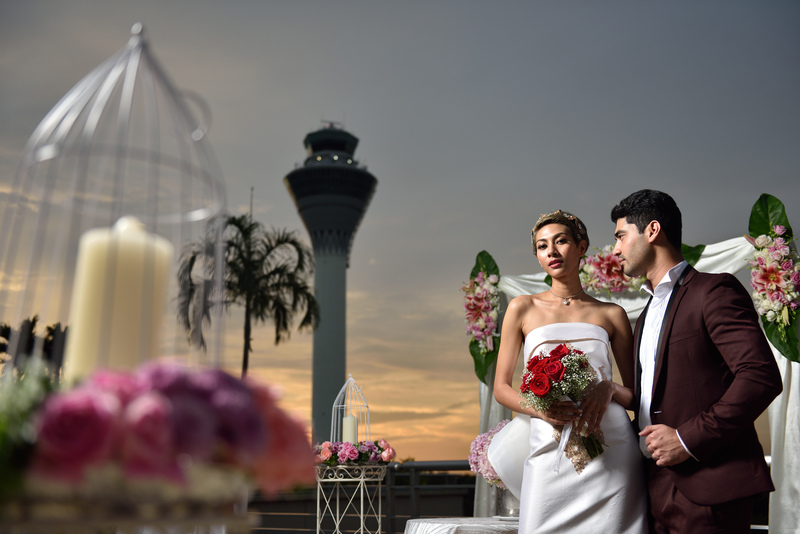 Couples who choose to celebrate their big day at Sama-Sama Hotel KL International Airport will also enjoy a complimentary romantic stay at the Executive Suite. What more could one ask for? So get ready to say ‘I DO’ in fabulous, unmatchable style! Package prices start from as low as RM1,818 nett per table for 10 persons. Call +603 8787 3333 (Sales Department) now to make your bookings, or email sales@samasamahotels.com.